Verum Solutions provides consultancy services to companies involved in the Upstream Oil & Gas industry. Our team has specialist knowledge of Quality Assurance processes, Quality Control requirements throughout the supply chain including complex construction and integration activities and Regulatory Compliance requirements. Paul is a UK national with over 30 years experience in the Oil & Gas industry. Training originally in welding engineering and NDT techniques, he progressed through his career to hold senior corporate and project positions in the QA/QC, Risk Management and Regulatory Compliance functions. He has managed the QA/QC function on 1 BUSD plus oil and gas development projects both onshore and offshore, representing Shell, BP and Total and several multi-national EPC contractors at all stages of project development, from proposal and execution to installation and operation. Having worked in South America, SE Asia, the ME, West Africa and Europe, he is a culturally aware individual, that is skilled at getting the best from multi-cultural and multi-discipline teams. 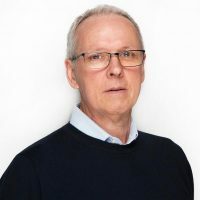 Don is an UK National, who has over 30 years of offshore oil & gas experience, including 17 years working in FPSO project management, engineering, construction commissioning and operations. He has a proven track record as Project Manager, successfully delivering complex FPSO developments, within very tight schedules & budgets. He originally trained and sailed as a marine engineer in the British Merchant Navy. He is a Chartered Engineer, Member of the Institute of Marine Engineers, Member of the Institute of Mechanical Engineers and has a bachelor’s Degree (Hon) in Mechanical Engineering from Greenwich University in London. 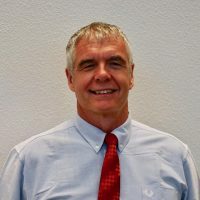 He has worked in Europe, North America, South America, Asia & West Africa for a number of companies including, SBM, Modec, Bluewater, Hamilton Oil, AMEC and Lloyd’s Register.